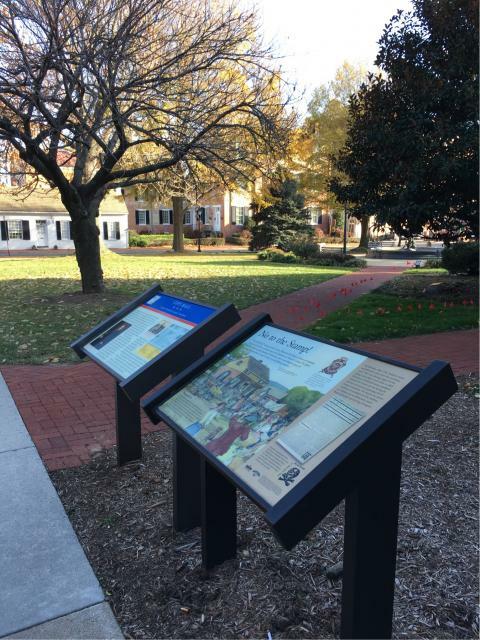 On November 30th, 1765, Frederick County citizens assembled here, where their first courthouse stood. They were showing support for the daring action taken a week earlier in which Justices of Frederick County repudiated (rejected) the Crown's new law forcing the colonies to use taxed stamped paper for all business transactions. The deed by the Justices would later be considered the first rebellious act of defiance by an official body toward British Parliament and the King of England. 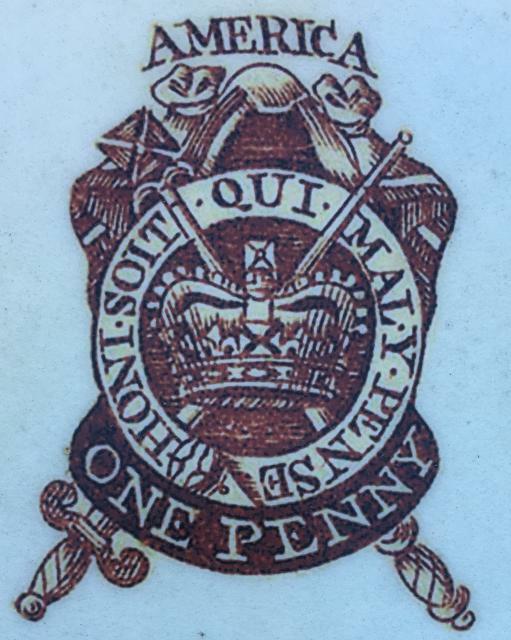 This British seal was to be stamped on all paper. The Stamp Act served as a tax to recoup payment for protection given to the American colonies by the Crown during the French and Indian War. 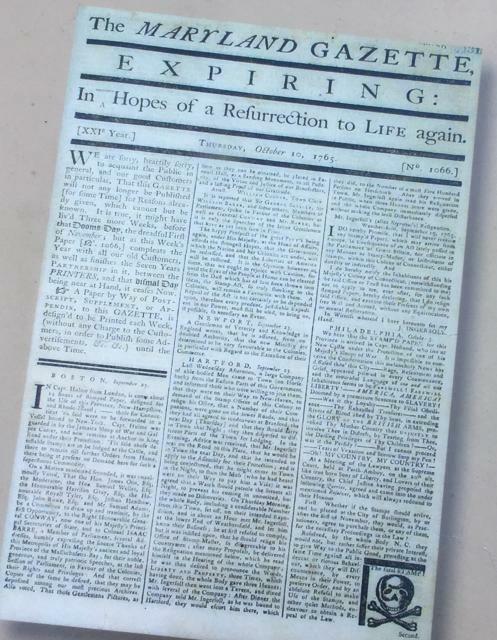 Outspoken Annapolis printer Jonas Green used a "death's head" stamp in the Maryland Gazette to protest the Stamp Act, which also required publishers to use taxed paper. Note that the Maryland Gazette front page (above) from October of that year bears the symbol. 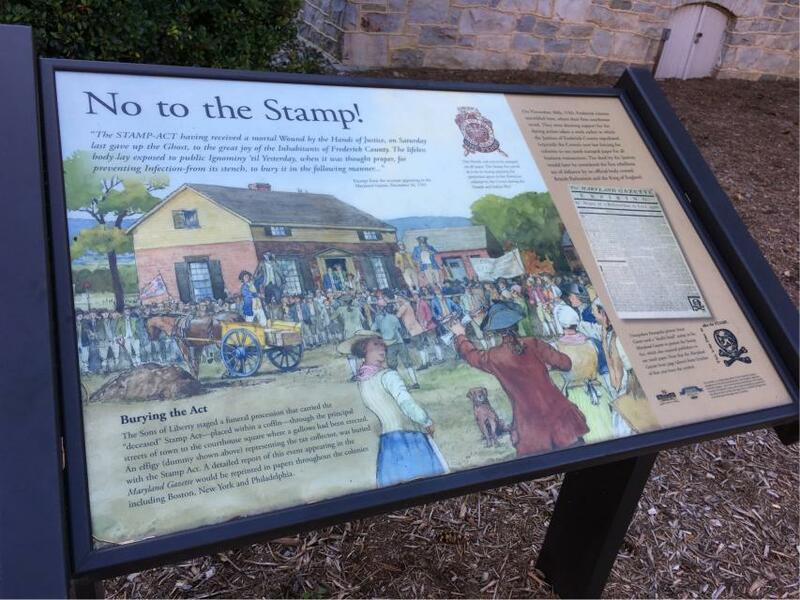 Outspoken Annapolis printer Jonas Green used a “death’s head” stamp in the Maryland Gazette to protest the Stamp Act, which also required publishers to use taxed paper. Note that the Maryland Gazette front page (above) from October of that year bears the symbol. Which side of the road is the marker located? This marker can also be identified by its HM code. 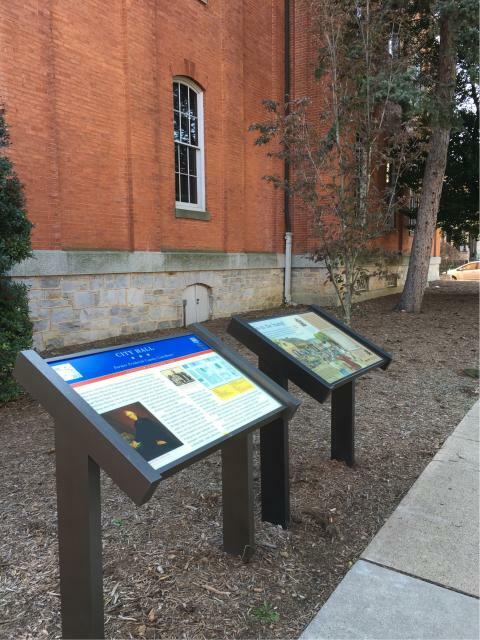 You can use the hashtag #HM1YM4 in tweets, and any other place where you might refer to this marker, including when searching on this site.